I wish as a young girl, as I educated myself on Hemingway and Fitzgerald, that someone had said, “You know there are some ladies writing short stories right now, and they’re killing it.” Whatever age it was that I was drawn to the short story, it is clear that I entered the door through male authors. From the aforementioned Hemingway and Fitzgerald to my beloved kindred spirits (in afflictions if not in style or characters) Carver and Cheever, the Richards, Ford and Yates, up to contemporaries Anthony Doerr and Rick Bass. I can trace a long line of male short story authors I have admired and attempted to emulate. I have a whole lineage of male authors whose writing has intertwined with my own. But what if I been brought to Alice Munro earlier, Mary Gaitskill before grad school, paid better attention to Joyce Carol Oates in college, stumbled upon Elissa Schappell and Michell Latiolais by serendipitous accident just a bit sooner? How different would things have been if their stories had been taught in high school English classes, if I didn’t have to take a designated “Literature by Women” course in college? I suppose there’s no time in lamenting. I found Lorrie Moore when I did, and perhaps this was the exact moment I was supposed to read Birds of America. What I love about Lorrie Moore: she destroys you, and then she makes you laugh while you stand amidst the wreckage. Every short story within this collection took simple ideas and plots–a vacation with a parent, playing a game with family during the holidays, a road trip with your lover, buying a house with your husband, etc.–and turned them into complex character studies that were equal parts tragic and hilarious. She finds something fascinating burrowed inside every mundane aspect of life. As I age, I am becoming more aware of the intersection between comedy and tragedy and their symbiotic relationship. 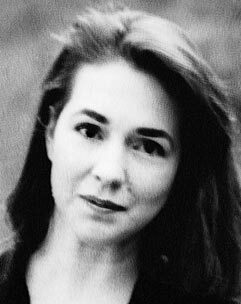 Lorrie Moore’s stories are the same–equal parts funny and sad. No elephant hunting or reflections on the corruption of the American dream. Instead, the death of a loved one, a failing relationship, our own limitations. Lorrie Moore writes about our lives, the lives of women, and gets at them with more honesty than we can ourselves.